As a surfer, sun protection is always something to be aware of. Traditional sunscreens are oily and end up washing off easily during your surf session. Some sunscreens work better than others but are frequently very expensive. Recently a friend showed me a sun protection product called surfdurt which I tried and It worked very well. It was not oily and it stayed on during and even after the surfing session. 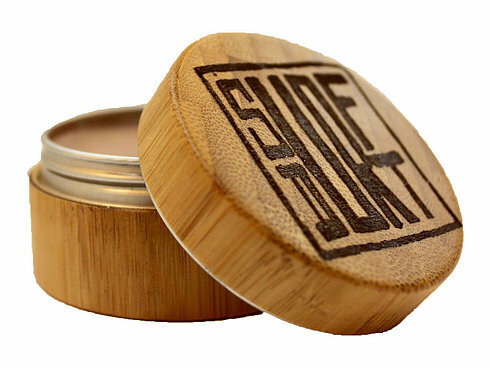 Surfdurt is made with only natural ingredients and does not leave an oily coat on your skin like other sunscreen which for my acne prone skin is very nice. In conclusion I think surfdurt is an essential product for surfers constantly in combat with the sun. It is all natural, good for your skin, and for its pricepoint is a bargain. I would recommend this product to anyone who needs a sunscreen that stays on in vigorous water activities. Posted in Product Reviews and tagged SurfDurt, SurfDurt Sunscreen Review.